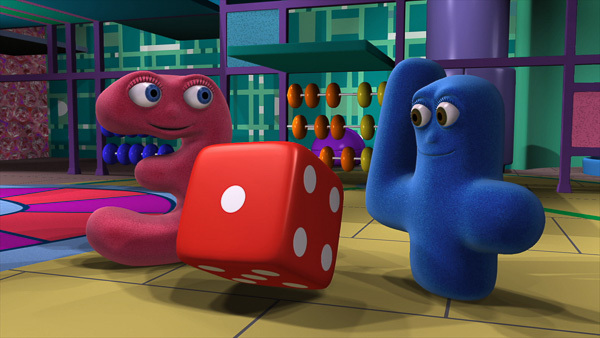 Every Numberjacks experience aims to combine entertainment and education. We want to help young children enjoy early maths, problem solving and thinking skills, to help them get off to a good start at school with a cheerful and positive attitude towards maths that will last them all their lives. The learning in Numberjacks covers a wide range of topics, including numbers, counting, shape, measurement, movement, position, pattern and problem solving. 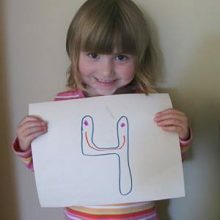 We base our learning on the guide lines of the Early Years Foundation Stage and National Numeracy Framework in the UK. Early years maths is very similar in most countries, and we check the content of the programmes against the maths curriculums of other countries too. ‘Joined-up thinking’ is a key Numberjacks aim, and we hope to carry that across into all Numberjacks products and experiences, all of which will be, we hope, a suitable mix of entertainment and education. 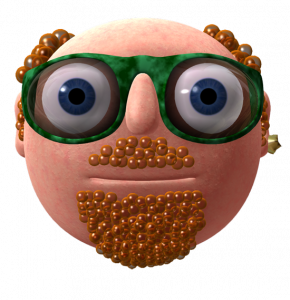 Almost all Numberjacks products will, where possible, contain ideas for activities and things to do that extend both the play and the learning that the product can offer. 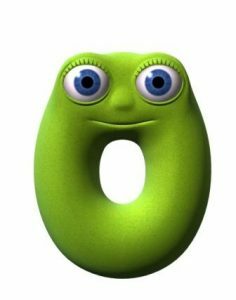 We also hope that Numberjacks will be an entertaining way for parents and carers to talk about maths with their children. 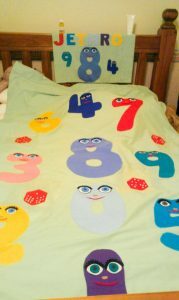 Many adults are much more comfortable helping children to read than to ‘do maths’, and Numberjacks is an opportunity to share in and engage with the child’s enthusiasm for learning. It is actually very easy to find things to do that will help a child with mathematical and thinking skills. 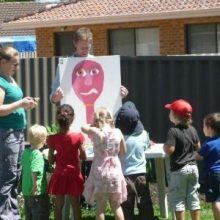 Please do talk about the programmes, follow up the challenges that each programme ends with, and generally enrich your child’s enjoyment and understanding of Numberjacks by being there to share the fun. Compare numbers, amounts and things – are they the same, different, equal? What is the same or different about this one and that one? Are things bigger, smaller, heavier, lighter, fuller, empty? Do things match, are they linked, can you sort them into groups? Try things out to see what happens – repeat, change, reverse what you did? Now what happens? Look at shapes, and their sides, corners and edges – how many, are they stragith or curved? What this are the same shape? Find patterns in designs, bricks, natural and manufactured things – can you copy, extend, match, reverse the patterns, or create your own? Above all – enjoy it! There are some very interesting teaching ideas at www.teachingideas.co.uk . It’s a site aimed at teachers but many of the ideas can be used at home.